Amy is my go to author when I want to escape to another world. Fantasy or not. When I want to go to a world that has magic and love and all of the good things, I know that I can count on Amy. 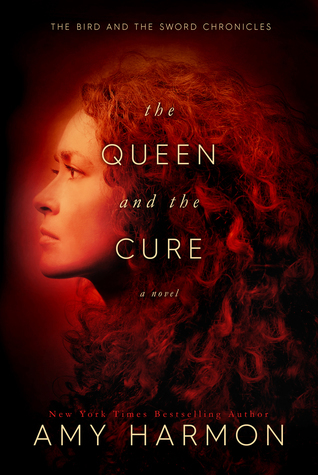 In The Queen and the Cure, I feel like Amy dominated this story and created a magical fairy tale that readers every where (no matter what type of reader you are) will love. The coolest thing about The Queen and the Cure is the fact that Amy can create such a world with the best descriptions that you just can’t help but get lost for hours at a time. I’m not a descriptive person but I enjoy Amy’s words. I have a terrible imagination, I really do. But Amy makes it so easy for me. Not only that, but I enjoy her story structures and I enjoy her strong characters. Not to mention, the slow burn of Kjell and Sasha is worth all of the time spent reading. I am still in awe. I honestly didn’t think that Amy could out-do The Bird and the Sword but she did! And she did it so elegantly in the way that only Amy Harmon does. I love Amy Harmon. Is it noticeable yet? I want all of the words, Amy! All of them all of the time. Love you, Kjell. Amy, take me back to Jeru soon. Like in a month or so, no pressure. Great review!! Thanks for not giving anything away, for us peasants without ARCs. 🙂 Can’t wait for Tuesday!! !